We explain which are the benefits and properties of the coca leaf, a leaf that has been used for therapeutic purposes for more than 2,500 years. Coca leaf is part of a flowering plant found in South America. Located in the Amazonian Andes, it has been used for over 2,500 years by indigenous as an offering to the gods and medical purposes. For this reason, the name of the plant derivates from the Aymara Indian language "Kokka", which means tree. The Incas were the indigenous that used more this kind of coca leaf. In these villages, the relationship of humans with the earth was primordial because it had a magical meaning; the earth was a goddess. That's why the coca leaf was sacred and respected by the entire population. 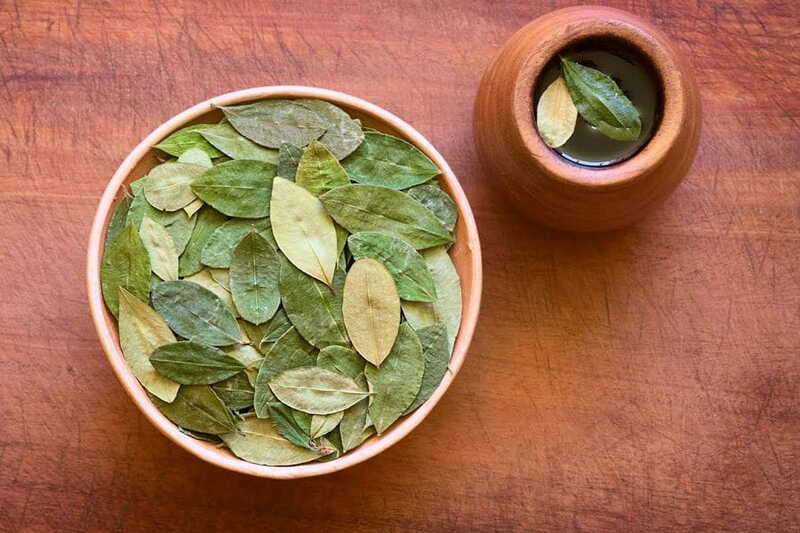 Today, the coca leaf is still used for therapeutic purposes thanks to its medicinal properties and their nutritional value: contains alkaloids that stimulate the body, lots of protein and vitamins (A, E, B1, B2, B3 and C), high mineral content (zinc, magnesium, iron, phosphorus and potassium) and it is rich in antioxidants that prevent the body from disease. One of the most common uses of coca leaf consumption is with tea or infusion, with a soft and unmistakable taste.